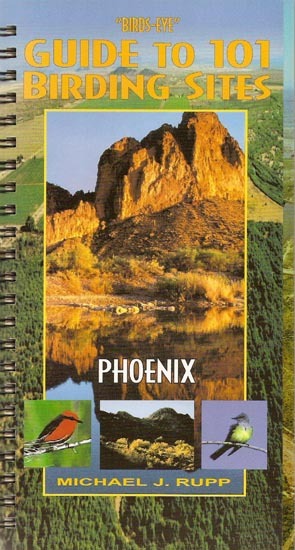 I've been wanting to check out more birding sites listed in Michael Rupp's Bird's Eye Guide to 101 Birding Sites: Phoenix, so on March 2nd I headed up to the Verde River Box Bar Recreation Site. Any place where I can actually get my wheelchair down to the waters edge is a place worth visiting in my book. And I did make it down to the water at Box Bar Rec. site. But overall the area isn't all that wheelchair friendly, you will get stuck at some point, whether your in a powered chair or manual, you'll need some help. The site does have a lot of shade though, so it might be a nice place to go in the early morning hours on days when its too hot to go birding in the desert. Among the cottonwood/willow/desert scrub habitat I had a nice long stare-down with a Coopers Hawk. Birds seen at Box Bar included Gila Woodpecker, Ladder-backed Woodpecker, Phainopepla, Cooper's Hawk, Black Phoebe, Yellow-rumped Warbler, Common Raven, Anna's Hummingbird, Verdin, Abert's Towhee, and Belted Kingfisher. For more details see Jack Holloway's excellent "Avian Sites" website. You will need to buy a Tonto Day Pass, check for a vendor here . 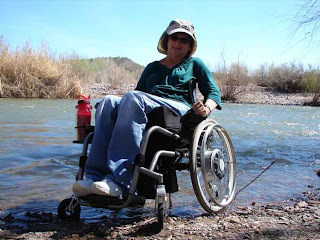 We also checked out the Rio Verde Ranch, which turned out to be much more wheelchair friendly. 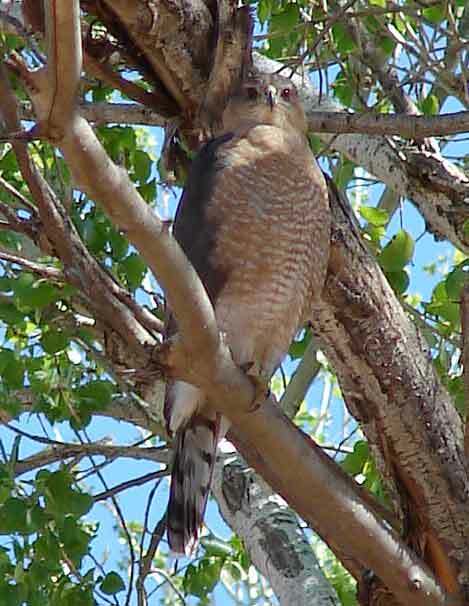 It was great to roll out onto all the cool shady grass, with Phainopepla everywhere among the mesquite and palo verde trees. A rustic fence lines the property with views of the Verde River below, and a mid-canopy view into the cottonwood/willow habitat. Great for seeing birds that populate the mid and upper canopy - warblers, sparrows, flycatchers. Double click on image below to see an enlarged view of the slide-show. 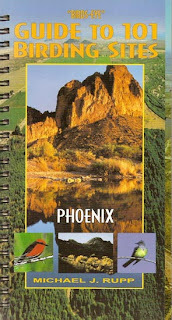 Appreciate your blog and your ADA birding education for the interested Arizona public. Would like to offer you a special, guided tour of the city of Phoenix Tres Rios Wetlands Project. Email or call me at 602-495-7927 if you are interested! Thanks and keep up your explorations!